Garam masala is an incredibly versatile spice mix that found its origins in India. In hindi, 'Garam' means hot, and 'Masala' is the term for a spice mix in general. Not all garam masala's are spicy though. Recipes for this spice blend vary widely from region to region and even household to household in India. Masala can be added to a variety of indian dishes to add an extra flavour kick, and even added to simple soups or stirred into a mug of bone broth. Garam masala is full of hearty, warming spices, which according to Ayurvedic traditions are especially beneficial during this time of year when the cold seeps into our bones and souls! 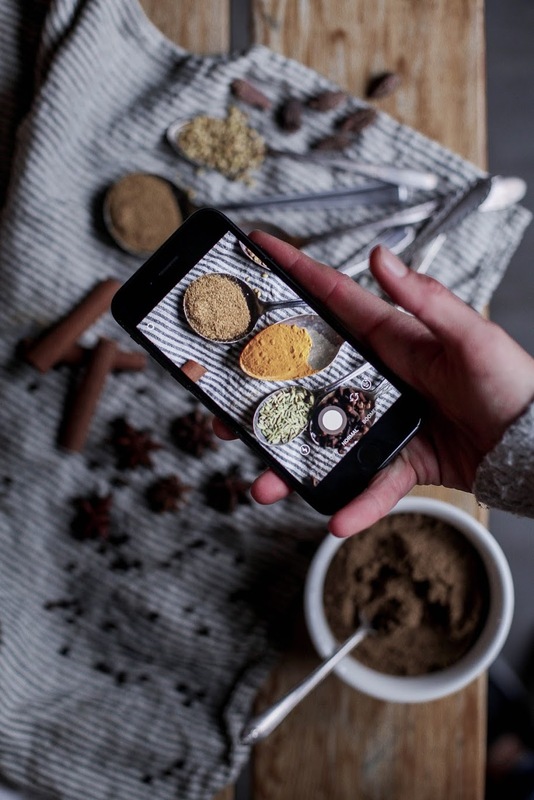 Read on for Nourish's take on tantalizing Garam Masala - it's less on the spicey side, and more on the sweet side. Even kids will adore the flavour! Open cardamom pods and reserve the seeds. Discard the pods. Place all spices except for nutmeg and turmeric in a pan and toast until fragrant. Grind spices thoroughly and pass them through a sieve. The spice mix should be ground quite fine. Add nutmeg, turmeric and combine. Store for up to 4 months. Use in curries, sauces, soups & more!